This week I finally got around to illustrating one of my favorite pieces from the Spring 17 runway. 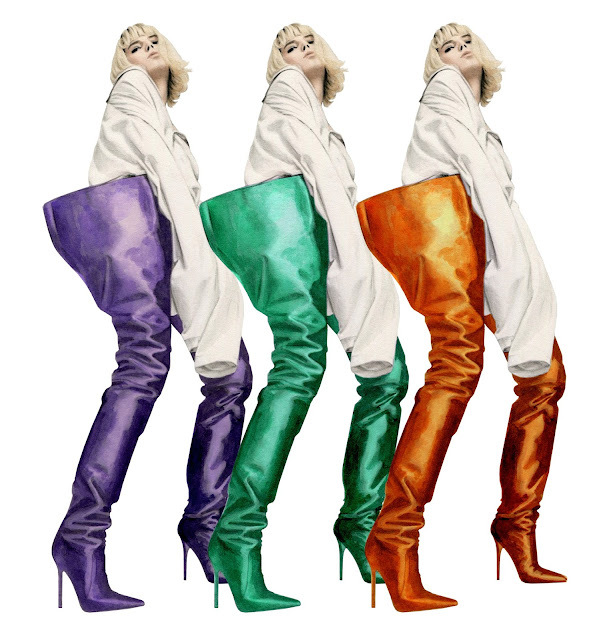 Vetements has been controversial in the fashion world for the last few years. Founder, Demna Gvasalia, has been praised for his fresh vision and original take on street style but criticized for recutting branded clothing and styling it for the runway. Whichever camp you’re in, you can’t deny the power of starting a dialogue, something which Vetements has done with ease time and time again in the short time they've been showing in Paris. I was reminded of this fresh new brand when reading last week that they are pulling out of fashion week for the foreseeable future, bringing up the big question that the fashion industry has been pondering lately: Are runway shows still relevant? Gvasalia claims, “I got bored. I think it needs to enter a new chapter. Fashion shows are not the best tool. It’s become repetitive and exhausting. We will do something when there’s the time and the need for it. It will be more like a surprise.” I couldn’t be more excited to see where Gvasalia takes his presentation of Vetements for the next few seasons. For now, I will definitely still be revisiting their past collections for gorgeous jewel toned inspiration. I couldn’t resist the waist-high satin boots from their Manolo Blahnik collaboration or their dramatic long sleeves and oversized hoodies that elevate the way we see street style and challenge the way we dress for every-day life. Tomorrow I’ll be heading over to Dover Street Market in Manhattan to see the current collection up-close and personal.